Sen. Tammy Duckworth (D-IL) attends a news conference at the U.S. Capitol January 4, 2017 in Washington, DC. The news conference followed the first Senate Democratic Caucus meeting of the 115th Congress. Sen. Tammy Duckworth announced Thursday her support for the filibuster of the nomination of Judge Neil Gorsuch to the Supreme Court. “Judge Gorsuch had several opportunities to explain himself, his past positions and his judicial philosophy, but he did not. Earning a lifetime appointment to the Supreme Court requires much more than a genial demeanor and an ability to artfully dodge even the most pointed of questions. In his four days of confirmation hearings, Judge Gorsuch did not show any ability to alleviate my concerns. I cannot vote to confirm him,” Duckworth’s statement reads. Assured of support from majority Republicans, Gorsuch wrapped up two days of Senate questioning Wednesday to glowing GOP reviews but complaints from frustrated Democrats that he concealed his views from the American public, the Associated Press reported. Neil Gorsuch has said repeatedly that he would adhere to the rule of law and respect the independence of the judiciary, but he has refused to address specifics on any number of issues. The only democrats who have said they will support Gorsuch are Sen. Joe Manchin of West Virginia and Sen. Heidi Heitkamp of North Dakota. Gorsuch, a federal appeals court judge in Denver, refused repeated attempts to get him to talk about key legal and political issues of the day. But he did tell Sen. Dianne Feinstein, who worried that Gorsuch would vote to restrict abortion, that "no one is looking to return us to horse and buggy days,” the Associated Press reported. Duckworth says Gorsuch has not made any effort to meet with her in person to answer “the serious questions I have about his record,” her statement reads. 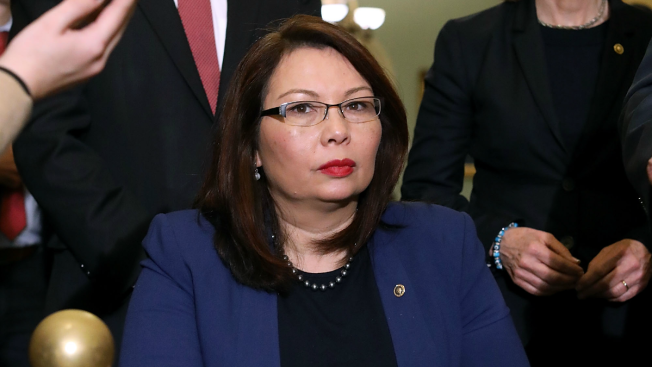 “I refuse to vote to end debate on a nominee who refuses to provide any answers to my question,” Duckworth said.